He's a Family Guy, and a Jedi! 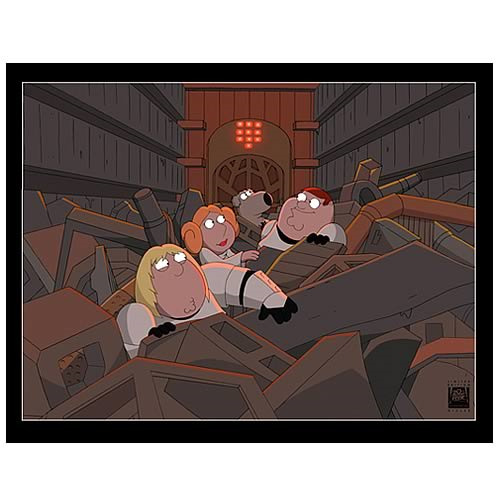 Their escape has gone horribly wrong, and now the Griffin family finds itself in a Trash Compactor deep within the Bowls of the Death Star. But who was that Dianoga under the pile of trash? This Matted Giclee on Paper Print has an image size 8 1/4-inches by 11-inches and a matted size of 13-inches by 16-inches.